Indistinct at first, it takes a while to make out the shape that squats impassively on the edge of the water. When its form finally takes shape, it is something of a Eureka moment. A sense of disbelief at the scale of the what I was seeing started to wash over me. 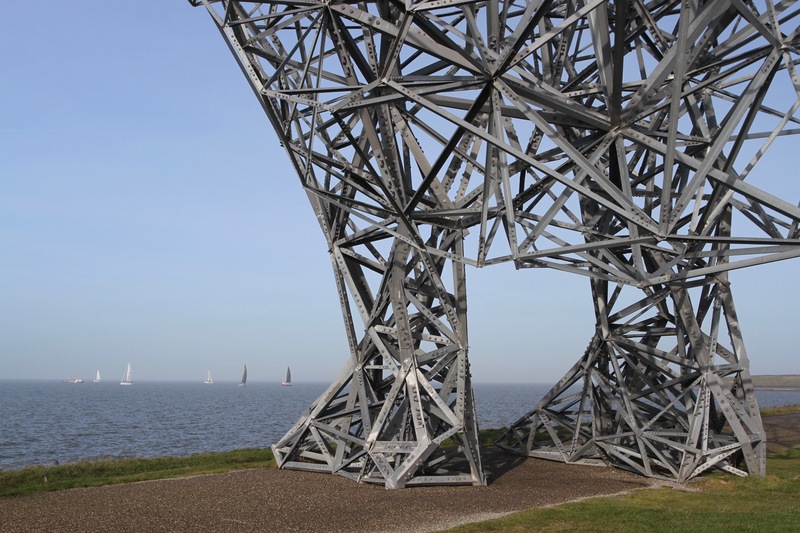 A vast metal man sits on his haunches looking out over the still, grey water of the Markermeer. 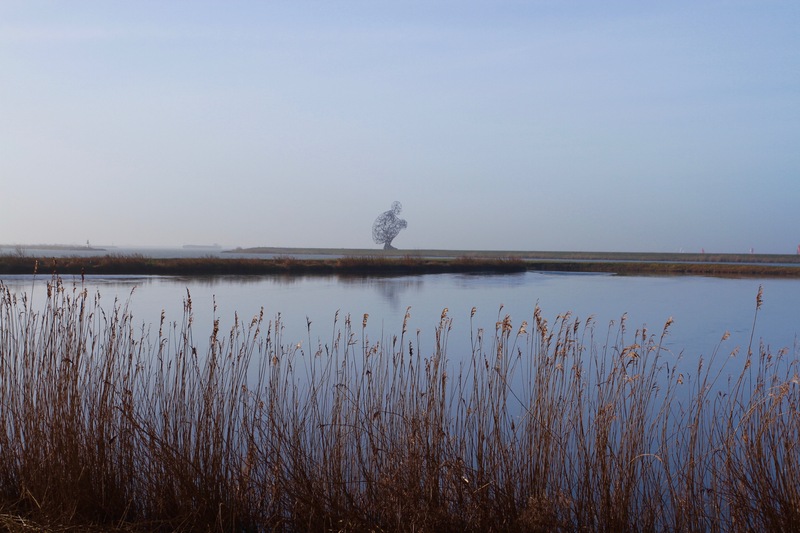 Magical realism living in the Dutch landscape. On a cold but sunny morning, steam rising from the ground, it felt like we were seeing the remnants of a long-forgotten ancient civilisation. 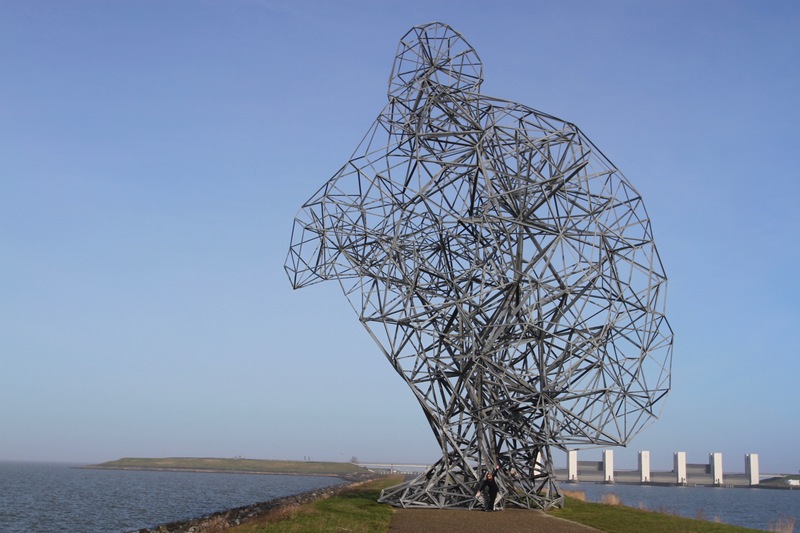 For anyone who has seen the Angel of the North, or the cast-iron life-size figures of Another Place on Formby Beach, or even Event Horizon, which once graced London rooftops, this extraordinary piece of public art couldn’t be by anyone other than Anthony Gormley. 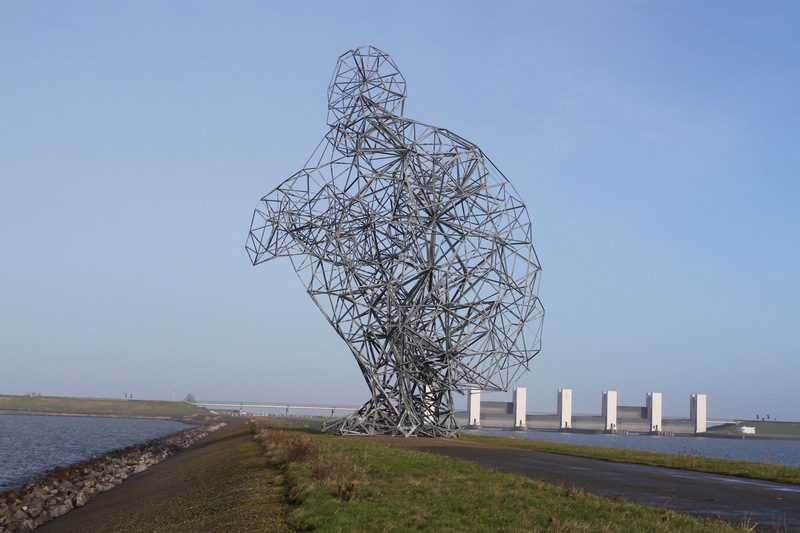 Officially opened in 2010 and titled Exposure, less generous observers refer to it as de hurkende man, the squatting man. Less politely, some people refer to it as de poepende man, the shitting man. It’s not difficult to understand why. What’s less understandable is why it took me nearly two years to discover this monumental sculpture. You’d think something this dramatic and beautiful would grace the covers of tourist literature, or even find its way into a guidebook or two. I only found out about it while flicking through the KLM in-flight magazine en route to Schiphol one day. 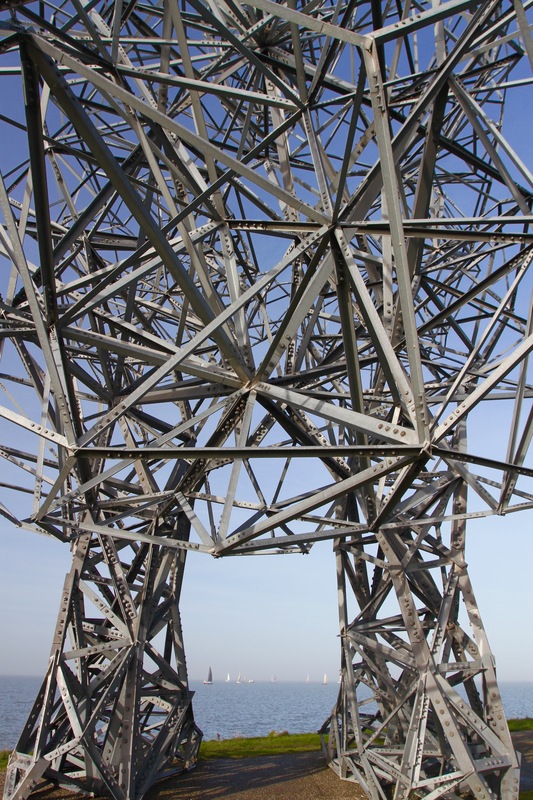 To give this behemoth some context, it stand 26 metres tall and weights 60 tonnes. 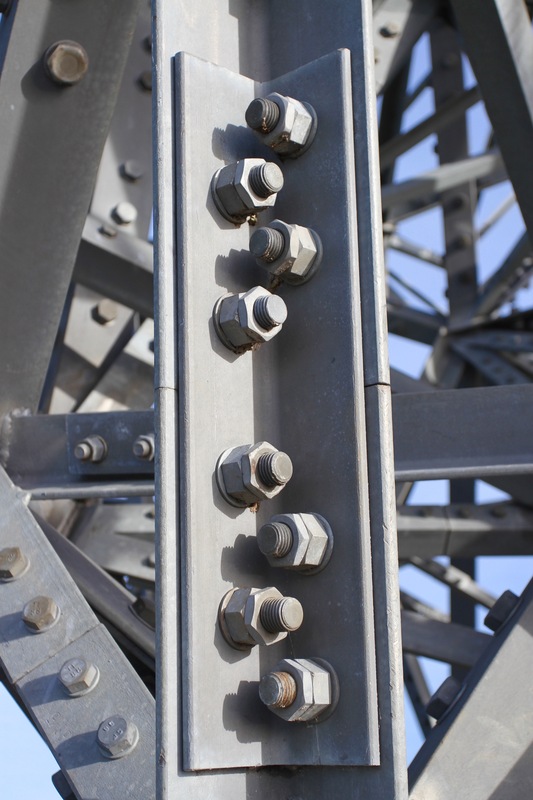 It has over 5,000 components with 14,000 metal bolts holding them together. 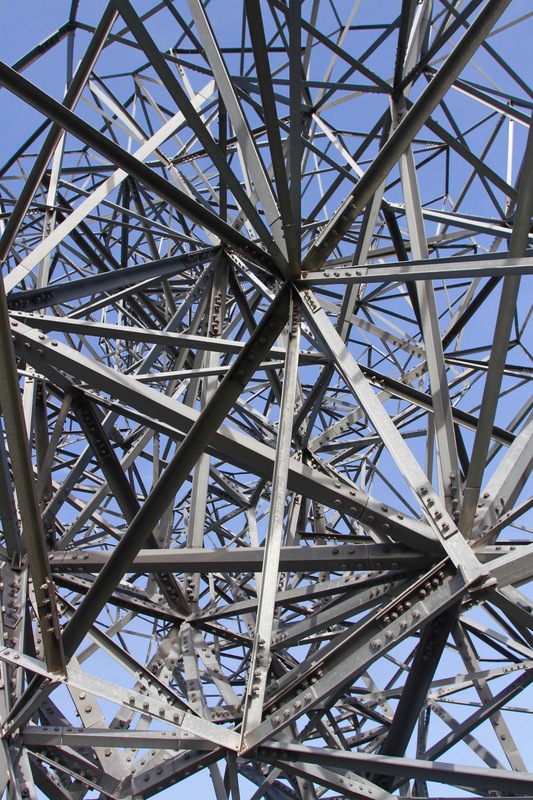 If it looks like it has been bolted together from bits of old electricity pylon, that’s because it was specially manufactured by a Scottish company that makes electricity pylons. It took three years to make all the parts and over a month to construct. This doesn’t tell the whole story. Its geometric design required the collaboration of two universities to develop special software and algorithms, allowing a 3-D digital model to be created that could then become a physical sculpture. It ran over budget and spiraling costs almost saw it scrapped. It finally ‘opened’ nearly ten years after the original competition was launched by the municipality of Leylstad. Bizarrely, given all of these trials and tribulations, it’s quite hard to get to if you don’t know where you’re going. Cycling from Leylstad train station we didn’t see a single signpost to guide curious visitors. Given its size, it really shouldn’t be so difficult to locate. 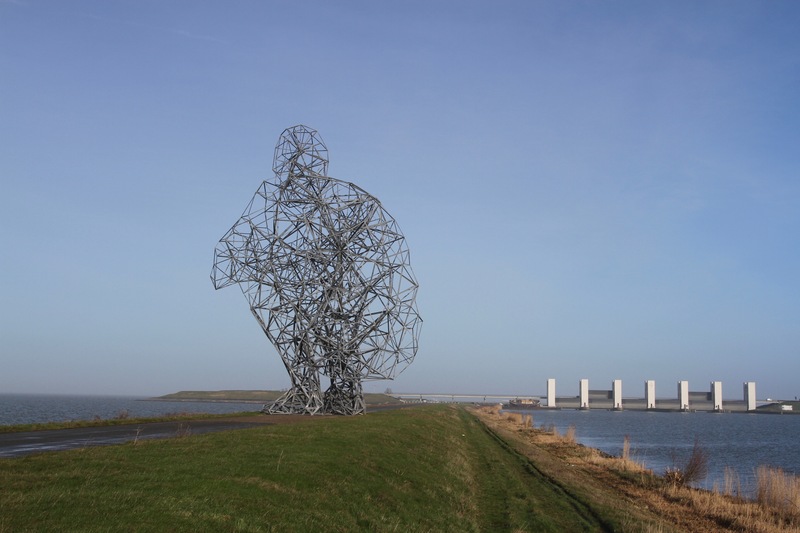 The Squatting Man sits on a polder overlooking the Markermeer close to the Houtribdijk, one of the great engineering feats of the endless Dutch battle against water. 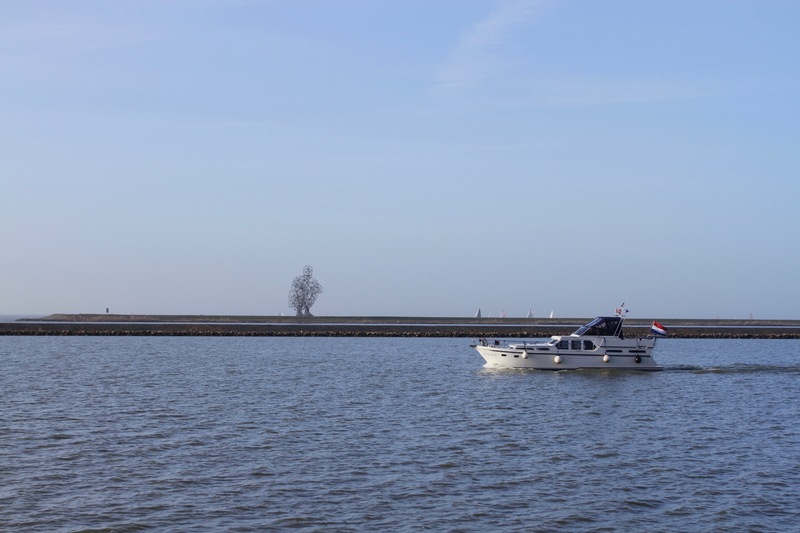 When the ancient inland sea, the Zuiderzee, was closed by the construction of the Afsluitdijk in 1932, it improved flood protection and created Western Europe’s largest lake: the IJsselmeer. 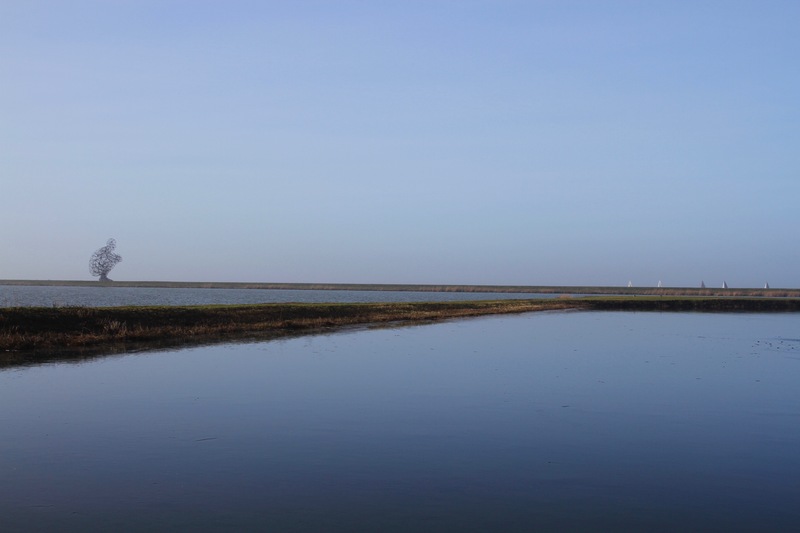 Huge land reclamation efforts saw a new Dutch province created, and the city of Leylstad was founded on land once under water. 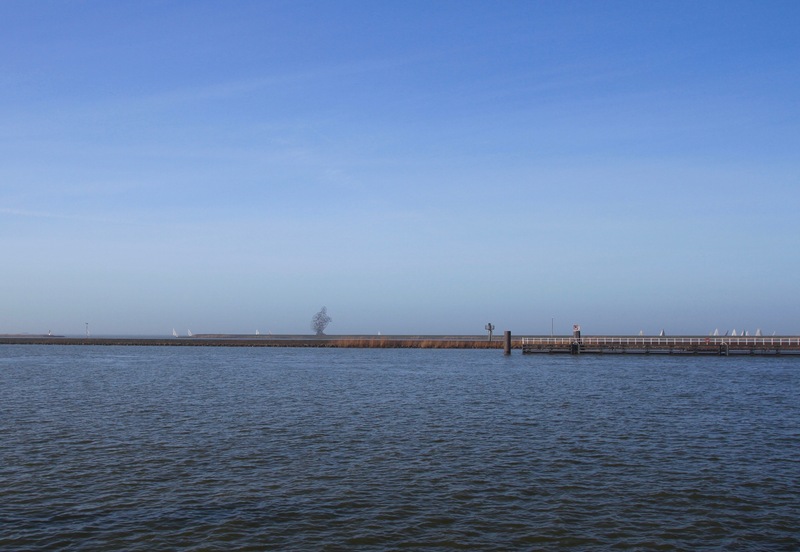 The Houtribdijk was built in the 1960s and 70s and today connects Leylstad with the Medieval town of Enkhuizen. 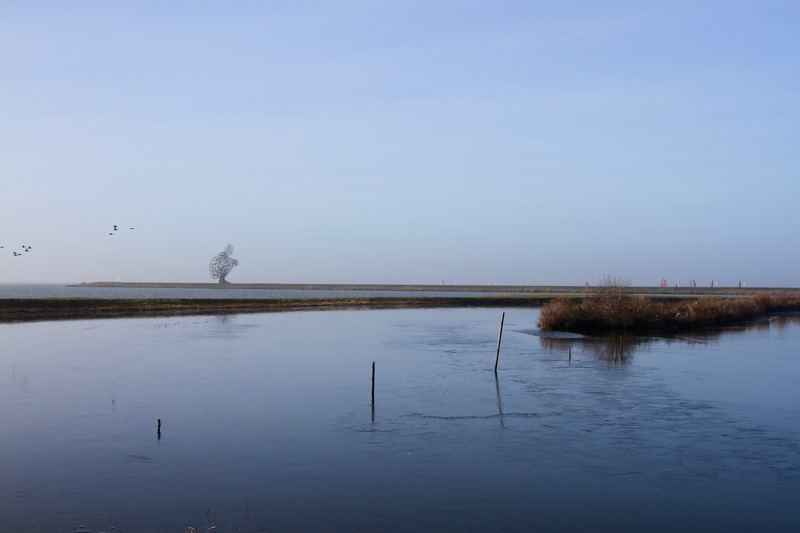 It sliced the IJsselmeer in half, creating the Markermeer in the process. Water played a role in the creation of Exposure. 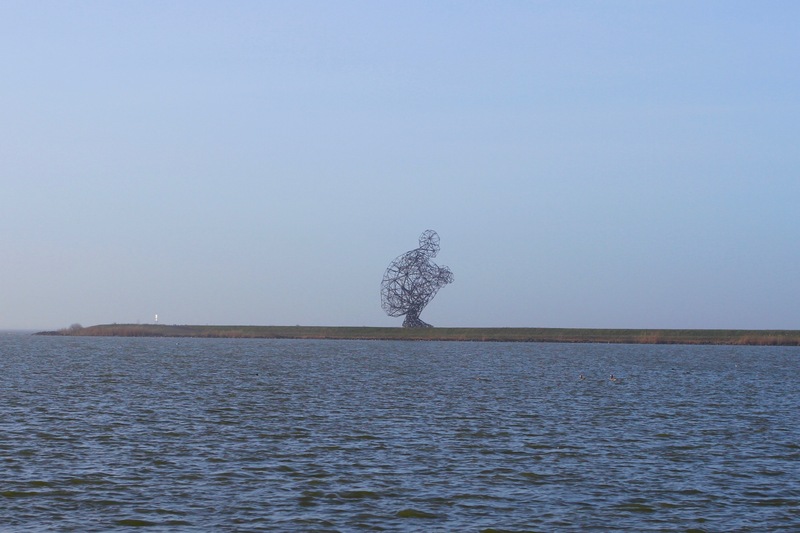 As global warming raises sea levels, the polder upon which the Squatting Man crouches will have to be built higher, slowly covering the sculpture. So it’s not just something beautiful to admire, it has meaning as well. The truly wonderful thing about Exposure is that from a distance it is clearly a man, squatting. 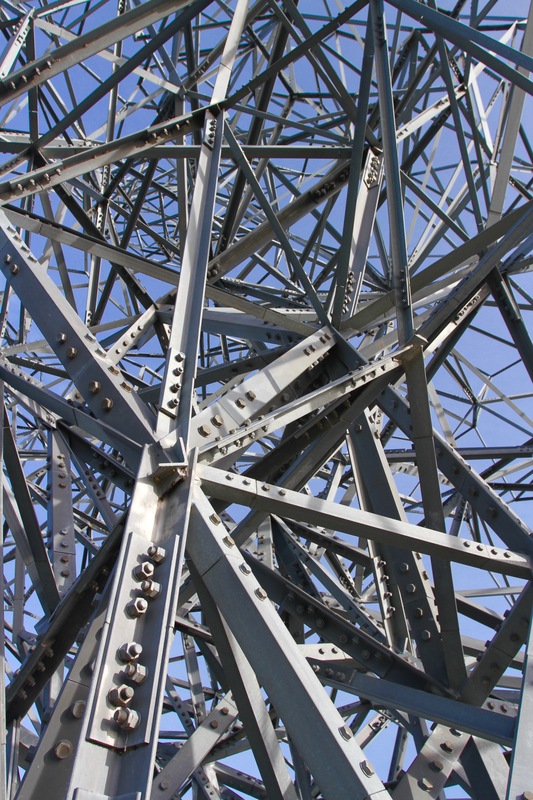 Move towards it though and it starts to lose shape and form until, when stood next to it or walking underneath its hulking mass, it becomes nothing more than a tangle of meaningless pieces of metal. The illusion undone by proximity. 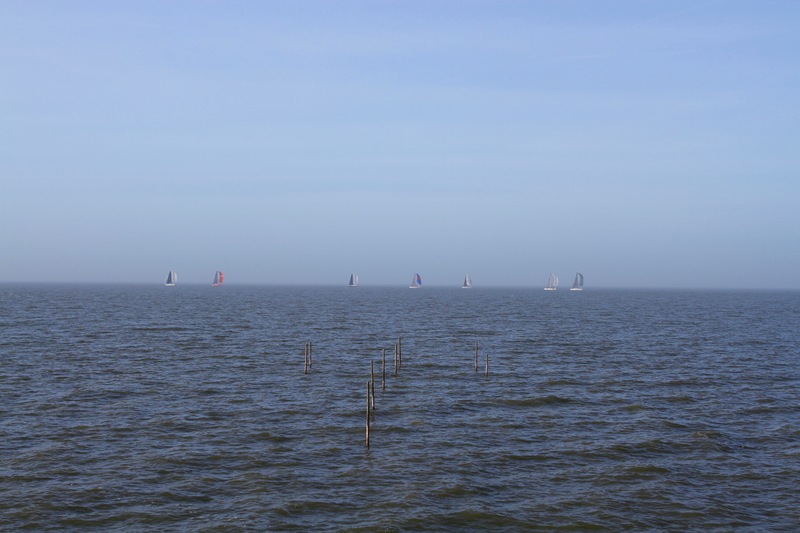 It is an amazing sight, and the location next to the water is perfect. Beautiful really. 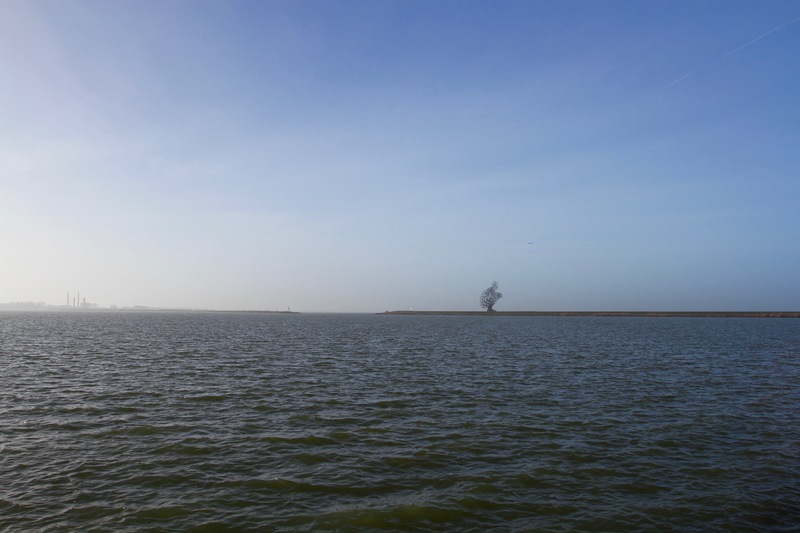 It’s an amazing sight when you see it from afar silhouetted against the water and sky.